Central Africans in the northern town of Kaga-Bandoro are threatened with violence from all sides in one of the most critical places in a country divided by war. 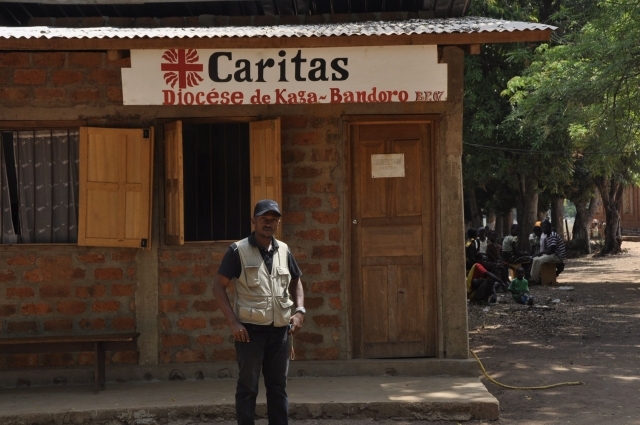 “Inside the town are the ex-Seleka, to the west are the Anti-Balaka and in the bush are Peul herdsmen,” said Fr Luk Delft of Caritas Kaga-Bandoro. As anarchy reigns, residents have fled their homes. 23,000 people are seeking shelter in two camps, one at the Church of the Nativity and one at the Bishop’s House. A few African regional peacekeepers provide some safety for those at the Bishop’s. It has no fence or wall for protection. Those at Nativity only have the church for protection. Militiamen’s families are mixed up with both groups of people. Apart from Caritas, all aid agencies have pulled out. Working with the UN , Caritas is providing free health care, food, education and seeds. The small Caritas clinic is now treating 50 to 60 people a day. “The living conditions are terrible. There only a few tarpaulins, there are no mats and no mosquito nets. We received 200 small tarpaulins from UNICEF and the ICRC for both sites. With these sheets , Caritas has built a few collective tents for mothers with babies and elderly people . But many children and babies are sleeping in the open without protection,” said said Fr Delft. 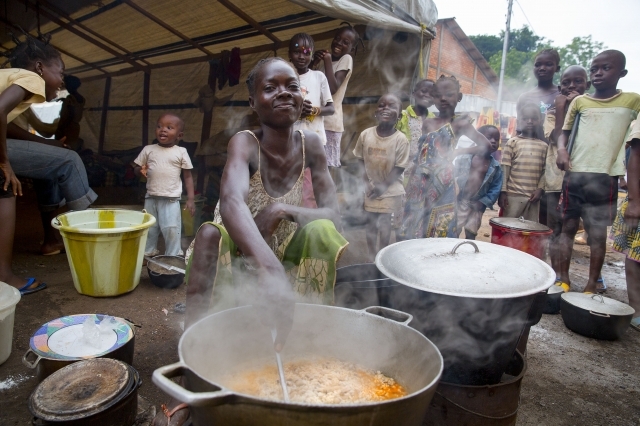 Conflict broke out in the Central African Republic in late 2012, and thousands have since been killed and hundreds of thousands more displaced, either inside or outside of its borders. In the capital Bangui government forces and international peacekeepers are trying to establish security. Tensions are high in the capital with attacks against churches and mosques, roadblocks and frequent explosions of violence. 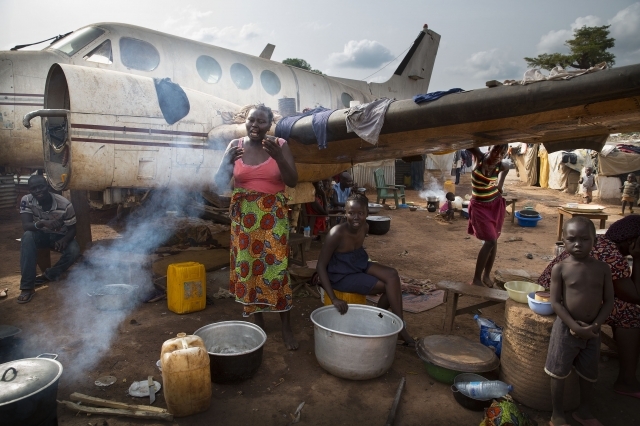 There are still over 160,000 people seeking safety in vast camps near the airport, the Seminary of St Mark and the Church of Fatima de Bangui. People have been there since December, sleeping on muddy ground without enough to eat and malaria rampant, especially among children. Despite the grim conditions and the presence of peacekeepers, people don’t want to return to their houses. Three-quarters said they wanted to go back home when asked in January, but now only half do. 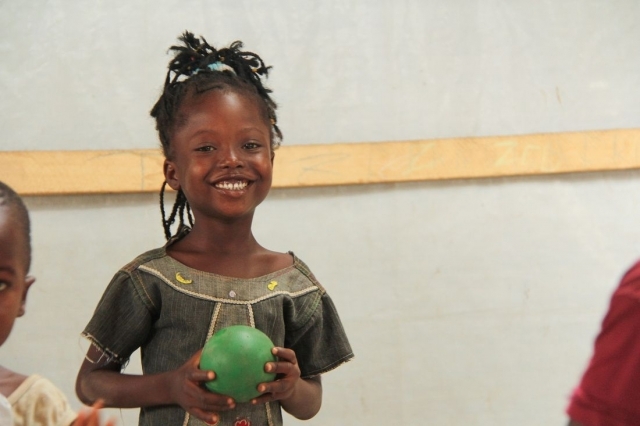 Caritas is working inside the camps providing food, bedding, mosquito nets and hygiene kits. Our staff are helping some of the communities most at threat from attacks. In areas too dangerous for the children to leave the camps, local staff are helping provide informal education in a safe environment with the support of Caritas members, for example from CORDAID in the Netherlands . Outside Bangui, the situation is much worse. Different armed gangs have set up their own fiefdoms in what’s become an archipelago of criminality across the country. Caritas with its grassroots reach is still able to help. Now is the critical planting season. Caritas is providing seeds and tools in places like Bouar, Mbaiki and Berberati. Caritas is also supporting the creation of peace platforms for young people from Christian and Muslim backgrounds, giving them a different route to take other than violence. As part of peacebuilding efforts, the Archbishop of Bangui, Dieudonné Nzapalainga and the Imam Oumar Kobine Layama travel to hot spots. In May, the religious leaders went to Yaloke where Muslim families were under threat from the local community. They managed to find them a safer place to stay. Where financial support is available, it’s making a huge difference. 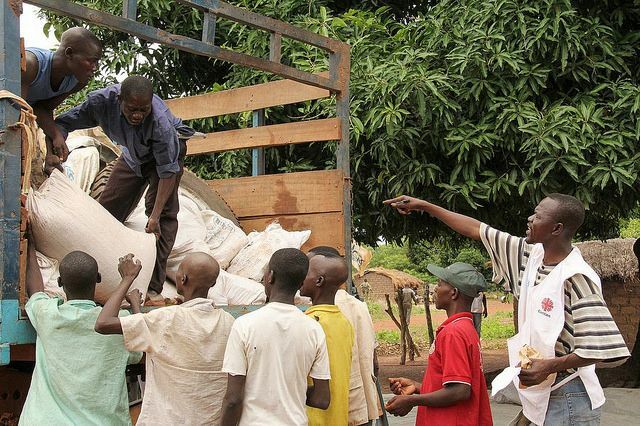 In Bossangoa, Caritas and its US member CRS went from village to village to deliver peanut and corn seeds, providing a critical source of food for the families for one year.